On February 22, 2012, David Wynn Bigham, a well-known Minnetonka community member, passed away unexpectedly. During his short time on this earth, he had a smile and a helping hand for his friends and everyone he met was a friend. David made every person he came in contact with feel like they were his best friend. After finding out that David did not have life insurance and knowing his career was the only source of income for his family, his friends wanted to do something to raise money for the family to help them through their difficult time. Knowing the impact David had on the community, his friends knew the community would turn out to help. The first Golf For Bigsy Golf Extravaganza was held on August X, 2012. Sponsors and golfers lined up to participate in this event to support David’s family. The event was a huge success and raised over $75,000 for David’s family. Later that same year, three of David’s friends recognized the impact that he had on the community and came together to form an organization in David’s name to make a difference in the Minnetonka community. The organization they formed was the DWB, LLC. This group of friends purchased the already operating North American Pond Hockey Championship (NAPHC) on Lake Minnetonka. They chose that organization because David was a huge contributor to this organization. To honor David’s impact on the community, his friends wanted to transform NAPHC into an organization that gives back to the community. The first beneficiary of the NAPHC under new owners was David’s family. The owners also decided to continue the relationship that NAPHC had with ALS. Again, David’s impact on the community effortlessly attracted sponsors and hockey teams to sign up for the 2013 NAPHC event. The event was a huge success and DWB, LLC was able to make a donation of $55,000 to David’s family, $43,000 to Park Nicollet Health Services Foundation and $35,000 to ALS. The success of these two events combined with the realization of David’s immense impact on the community, DWB, LLC decided to pursue a 501 (c) (3). Effective June 27, 2014, DWB Memorial Foundation became a 501 c 3 charitable organization. 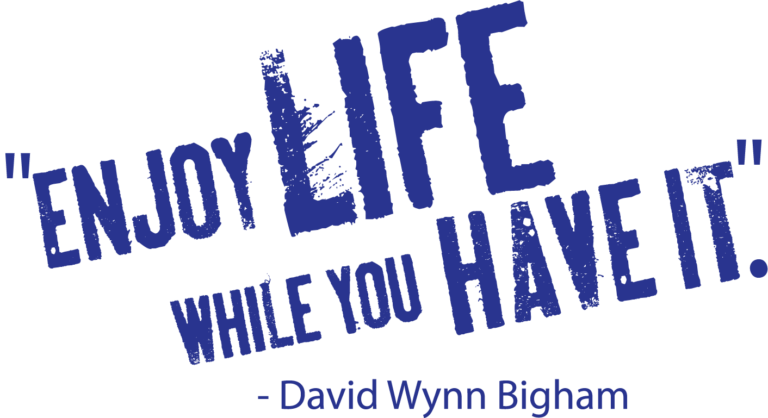 The mission of DWB Memorial Foundation is to continue David Wynn Bigham’s legacy of helping others by making significant financial donations to Minnesota organizations or families in need. DWB Memorial Foundation continues to host the David Bigham Golf Extravaganza and the North American Pond Hockey Championship event. Both events continue to grow each year. His passing has brought together a community that has the power to make a difference in this world.